Revered and Reviled squarely faces the problem that Vatican I presents, and has always presented about papal primacy. 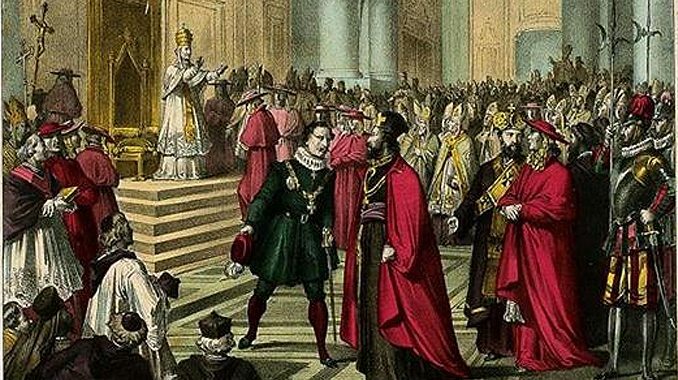 If you wanted to find another period when papal powers and personalities were as controverted as they are today under Pope Francis, you’d have to go back to the 1860s, a decade that culminated in the First Vatican Council. 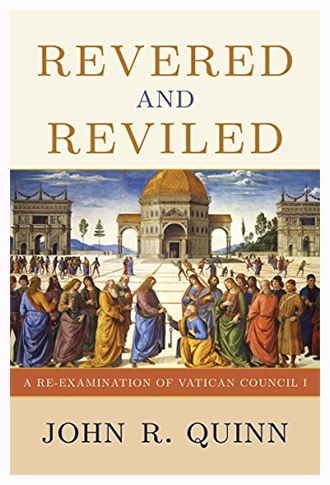 That council is treated in a welcome new book titled Revered and Reviled: A Re-Examination of Vatican Council I and written by John R. Quinn, the retired Archbishop of San Francisco. 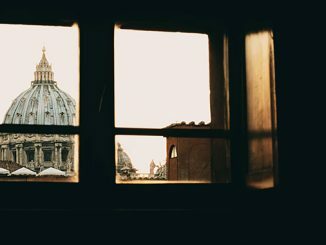 When I was finishing writing Orthodoxy and the Roman Papacy ten years ago now, I was somewhat amazed at the relative neglect of the First Vatican Council by modern anglophone scholars, all of us writing in the overlarge shadow of Vatican II, a council that has engendered a massive body of literature. But Vatican II (and indeed the entire modern papacy) make no sense without carefully attending to Vatican I, which, apart from Margaret O’Gara’s Triumph in Defeat (1988) and Richard Costigan’s The Consensus of the Church and Papal Infallibility, (2005) has garnered scant attention—until now. Tracing out what Vatican I said requires, as Quinn’s introduction notes, that one wade through oceans of misconceptions. But to what end? Quinn is forthright in saying that “my objective is to uncover the authentic doctrine on these issues as it was proclaimed by Vatican I and thereby to establish that the Council is not an obstacle to a more collegial exercise of the primacy or an obstacle to the stated intention of Pope Francis for synodality” (vii). In saying this, he has squarely faced the problem that Vatican I presents, and has always presented: does papal primacy as the council defined it render otiose any other exercises of patriarchal, synodal, or episcopal authority? De iure the answer is no. But de facto? Here matters are a good deal more complicated and problematic. 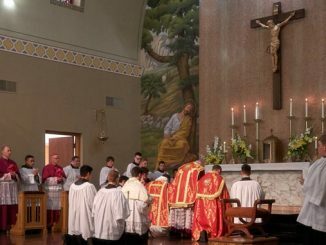 Much as the fabled “spirit of Vatican II” was invoked to justify a lot of rubbish inflicted on the Church since 1965, so the spirit of Vatican I has haunted, and often inhibited, every exercise of episcopal, patriarchal, and synodal power for more than a century—as we Eastern Catholics are only too aware. But Vatican I is itself haunted—by the French Revolution. The strongest part of Quinn’s book is his insistence on understanding Vatican I in what French historiography often calls the longue durée of the nineteenth century, which really began in 1789 with the French Revolution. In looking at Vatican I in the aftermath of the revolution, Quinn illustrates what I have often called the Law of Unintended Consequences of Papal Growth: popes acquire certain powers almost always in emergency situations, when no other pastoral tools are at hand to face the danger. But given the institutional conservatism of the papacy, it rarely gives up those powers once the danger has passed, thereby creating serious but unintended problems in different contexts. Thus, Quinn notes that in trying to come to terms with Napoleon after the Revolution—which drenched the Church in blood—Pope Pius VII, in a sauve qui peut situation, gave in to Napoleon’s demand that the entire French episcopate be sacked as the price of being able to salvage just about anything in French Catholicism. It was, and remains until the recent developments in Chile (about which I wrote here), a staggering and unprecedented attempt at removing an entire national episcopate. Previously no pope would have dreamed that he had such primatial powers. In forcing the pope so to act, Napoleon, in one of history’s huge ironies, thought he was weakening Pius and his office, but in fact this served massively to strengthen its powers of centralization across the entire Church, putting ideas of new papal powers into the heads of the council fathers of 1869-70 long after Napoleon’s death in 1821. The subsequent and more widespread revolutions of 1848, together with the loss of the Papal States and the unification of Italy into the modern nation-state we know today (three factors Quinn does not deal with sufficiently in my view), all further haunted the council. When the bishops gathered, Quinn says that many of them imagined the Church was living through an “apocalyptic” situation calling for the most “extreme and exceptional” response (51; cf. 111). Defining the pope as having universal jurisdiction and infallible teaching authority was just such an exceptional response. It was a response prepared decades earlier, Quinn notes, by such figures as Joseph de Maistre (some of whose ideas I discussed here). Maistre’s extreme ideas were part of the ultramontane movement which was countered by none other than John Henry Cardinal Newman, to whose thought Quinn pays considerable and welcome attention in this book. Newman had a far better sense of the history of the Church than Maistre did, and a first-class theological mind, which the overly excitable Maistre did not. It was Newman who could see—with a serenity that escaped most others, including the fathers of Vatican I—that the crisis years of the nineteenth century would pass. He thought convening a council in such a time was unwise because the participants would likely react in a panicky manner. The fathers of Vatican I did not give in to total panic, but they came close. Their legacy to us is a papacy braced always to assume the worst sorts of machinations from hostile tyrants and states against whom papal jurisdiction must ever be defended. The problem with this perpetual defensive crouch is that it distorts a healthy ecclesiology, leading to the distended centralization and papal cult of personality many of us have lamented never so much as under Francis. If the traumatic context of the post-revolutionary period is gone, should Vatican I follow? If the centralization and personality cult are problems, should we scrap Vatican I to get rid of them? However tempting it may be for some to answer in the affirmative since 2013, it is a temptation devoutly to be resisted for, as Quinn knows, and as any orthodox Catholic must, Vatican I has been dogmatized as an authoritative council by and for the Catholic Church, with the result that it must be accepted de fide. But acceptance of the decrees does not mean acceptance of everything that purports to follow from them—as I tried to suggest in this 2016 CWR essay. In this light, Quinn strikes the right balance, noting that it was “the intention of the Council to ascribe to the Pope the power of authoritative interpretation when the needs of the Church required it” but this same council did not “teach that primacy of jurisdiction means that the only mode of papal primacy is the current structure of highly centralized government which did not exist in the first millennium” (54). Such highly centralized models are the far greater consequence of Vatican I than its teaching on infallibility, which, as Quinn repeatedly notes, is much more misunderstood and much less of a concern, not least because it is so rarely invoked. But in both cases, properly understood, they are gifts to the Church “limited…and surrounded by conditions” but providing “a necessary and important anchor, particularly in confused and troubled moments” to preserve “the Church in unity of faith and communion when circumstances warrant it” (115). Christianity has been too often in what seemed deadly peril, that we should fear for it any new trial now. … Commonly the Church has nothing more to do than to go on in her own proper duties, in confidence and peace; to stand still and to see the salvation of God. After the Chieti declaration how can one say that VI or VII were truly ecumenical councils? What can one expect from Archbishop Quinn, who is all too willing to uphold the pretense that both were ecumenical councils? Chieti is a declaration. A declaration is not a universal binding solemn proclamation. 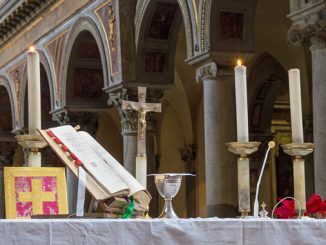 The Joint International Commission for Theological Dialogue between the Roman Catholic Church and the Orthodox Church does not posses that faculty. And it is nothing more as suggested here that it somehow sweeps away Vat I or II. Furthermore an ecumenical council is defined as “a solemn congregation of the Catholic bishops of the world at the invitation of the Pope to decide on matters of the Church with him” (Hubert Jedin, Kleine Konziliengeschichte, Freiburg, Herder, 1960, 14). It is not required that all bishops attend. Nor does ecumenical require participation or acceptance of all Christian communities and Churches. The binding premises of Vat I the primacy of the Chair of Peter as Defender of the Faith and Vat II Lumen Gentium and Verbum Dei which successively define the Church and define Revelation. Insofar as the Pastoral Constitution On The Church In The Modern World Gaudium et spes that is not a binding document and as such remains subject to analysis and interpretation, revision and discussion. Despite the current controversy the Church is not validly represented in vague suggestions or erroneous policy whomever the source. The Church is and remains the Pillar of Truth in all its solemnly pronounced and definitively held sentences. An addendum related to Adam DeVille’s article. Although an informative review of papal authority the highlighting of a book by John R. Quinn, the retired Archbishop of San Francisco slants an otherwise good commentary. Quinn was a progressive noted for his intent to liberalize the Church. His views on Vat I are expected. 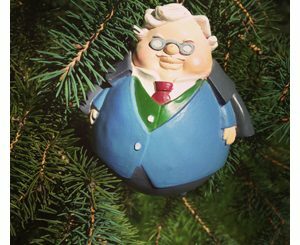 Dr DeVille’s continued devaluing of the Chair of Peter is apparently attached to his favoring the Eastern Churches’ position. Fair enough if that’s his preference. Nonetheless insofar as history the French Revolution Napoleon and the rationale of exigency in Catholic consolidation peaking with Vat I and Papal authority DeVille makes a valid argument. What Dr DeVille omits however is divine providence. God uses very human affairs and reactions to bring about a desired end. As he did with Emperor Constantine in his recognition of Christianity as putatively more than an act of faith but as a means of hegemony and consolidation of the empire in recognition of a widening religion that also supported the authority of the State. You are right in pointing to the events that were contemporary to Pius IX and influenced him much more directly than the events of 80 years before. There are some flaws in this … there is no way that one Council could achieve what DeVille wants to prove. Was not the papacy viewed as having the same prerogatives before as after Vatican I? Besides, some people have been known to blame Trent for having given the Papacy “too much power.” And some others have been known to blame it on Boniface VIII. And the schismatics have been complaining about it ever since they separated from Rome due to their attachment to a specific heresy (Nestorianism, Monophysism), their dislike and distrust of Rome/West (which has always been prevalent in the East), or ambition (thirst for power and independence as was the case in Constantinople under Photios and Cerularius — theological “disputes” were merely excuses given to hide ulterior motives). And centralization always happens; the East has not been immune to it. Just look at how Constantinople tried to centralize power and to what point it achieved it until the fall of Constantimople to Islam. Just because it was not was easy for the East to preserve that centralization (as it was for Rome) does not mean that the East has been exempt from it, even today. Also, DeVille says that in moments of crisis, the “popes acquire certain powers almost always in emergency situations,” but it is more correct to say that the Pope already possesses such “powers” and simply exercises them in such “emergency situations.” The teaching and idea of Papal Infallibility predates Vatican I, and the Pope was not made a “super-Bishop” by all the other Bishops in Council then in order to combat secular situations. Otherwise, all the appeals from the East during the Great Heresies could be said to have given the Pope powers that he did not possess (given that he had to approve the decrees of all those Councils), but that would be very incorrect. Most Councils were always convoked in difficult times and panic was always a constant factor, so to exaggerate the possibility that that would only be the case for Vatican I is not completely honest. Early Councils were convoked under dire situations too and there was always fear of schism or violence from either the heretics or the Emperors (who were sometimes heretics, too). Additionally, saying or implying that Vatican I caused Vatican II would be like saying that the condemnation of Nestorianism caused Monophysism (“Ephesus caused Chalcedon”). Clearly, the fact that Nestorianism was condemned (as it had to be) did not create Monophysism (the Church did not force certain fanatics to go to the other extreme and come up with new heresies). ᐅ Modne Damer Vardo in July 2018 -> Bare kort tid gratis!